Hey guys! 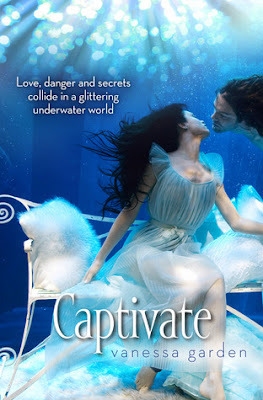 Welcome to my stop on the blog tour for Captivate, a debut novel by Australian author Vanessa Garden. I have Vanessa here on the blog today with a simple Q&A. 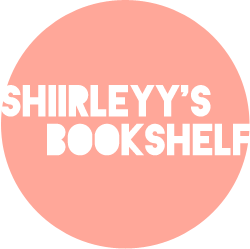 You can follow the rest of the blog tour HERE. Please Introduce 'Captivate' in 5 words. Love, secrets and danger underwater. What inspired you to write Captivate? I have always wanted to write an underwater story. I grew up by the ocean and often dreamed up underwater cities as a child. However, the idea of Captivate came to me after listening to a song called 'To You I Bestow' by Mundy. The rest of the story spilled out after that one scene the song inspired. Convince us why readers should choose mermaids over vampires/werewolves and other supernatural creatures! What was your favourite scene in the book and why? Marko and Miranda's garden scene. It is the first scene that popped into my head, which then inspired the entire story behind Captivate. I love it because there are moments in this scene where both Marko and Miranda drop their emotional shields and reveal their true, vulnerable selves. What was the most difficult part of writing Captivate? The re-writing. I had to do so many re-writes because I wrote it pantser-style and allowed the characters to go off on many different tangents which created too many sub-plots. Chopping away favourite lines and paragraphs to stream-line the story was difficult but had to be done. I just loved hanging out with my characters in the beautiful underwater city of Marin, which was a reward in itself. But getting Captivate published and being able to share my story with fellow readers is the greatest feeling. Also, working with the amazing team at Harlequin Australia has been hugely rewarding. I have learned so much. "the guys are super-fit and walk around in head-to- toe black with daggers strapped to their boots"
Heh. I like that image. ;) It's been a really long time since I've read a story set in an underwater world! Marin sounds like a place that I'd like to explore. This book is new to me, so thanks for putting it on my radar! Oh my gosh, Captivate sounds so good! Thanks! Now that's out the way... THIS BOOK SOUNDS SO FRIKKING AWESOME O.O A story set under water with 'super-fit' guys *swoons* I don't think I've read many Aussie books but this one sounds too good to pass on! The garden scene has really made me curious and I love that mermaids are featured!